Marcos Torres's work ethic may not be uncommon for an investment banker, but what drives him is decidedly different. As managing director of RBC Capital Markets, Marcos Torres is in multiple time zones each week, sometimes working overnight on time-sensitive, high-profile M&A transactions. His level of work ethic may not be uncommon for an investment banker, but what drives him is decidedly different. Torres’s parents came to the US from Puerto Rico, eventually settling in Harlem. At one point, his family of six was poverty-stricken and homeless, and the shelter in which they stayed was directly across the street from his elementary school. The discomfort of knowing his friends saw him walk from the shelter to school each morning ate at Torres. 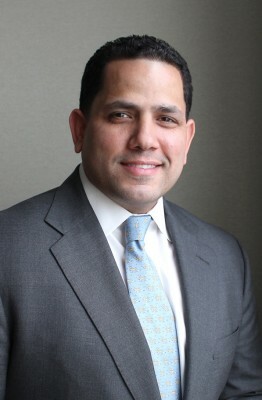 Today, as one of the highest ranking Latinos in investment banking, he uses those memories to stay motivated and humbled, ensuring he gives back to his community and works to empower the next generation of Latino leaders. He sits down with HE to talk about his introduction to investment banking and the underrepresentation of Latinos in his field. Hispanic Executive: Having had an underprivileged background, how did you become interested in this field? Marcos Torres: My upbringing is really the root of all this. I was the first and only person in my family to graduate high school. In college, I got an internship at an investment bank to help pay my college bills, which is when I started reading the Wall Street Journal. The stories weren’t all that appealing to me, but the people were. I read about people making these huge deals, and was fascinated by them. I wanted to do that. Plus, I knew a career in investment banking would be lucrative and might enable me to take care of my family. HE: What life and career experiences prepared you for your current role at RBC Capital Markets? MT: More than my education and professional experiences, my childhood prepared me. I had to deal with stuff no kid should have to deal with. In comparison to that, doing my job is easy. Back then, there were nights I didn’t know if I was going to eat or where I was going to sleep. When you grow up tough, you develop a thick skin, but you also develop creative thinking, and that is very helpful in this role. No matter what problem arises, it might sometimes be naïve, but I always believe there’s a solution waiting to be discovered. HE: Latinos are vastly underrepresented in financial services, especially in investment banking. How did you learn to navigate this world without having many mentors that share your background? MT: 20 to 30 years ago, when people were talking about diversity, they weren’t thinking about Latinos. I came up at JP Morgan in the late 1990s, and I never saw a Latino occupy an office, but I imagined one day I would occupy one of those offices. When you don’t have a lot of role models to turn to, you have to imagine how you can bridge the gap between who you are and who you want to be. You have to say, “OK, even though there is no one who looks like me doing this work, I’m going to work hard and make it happen.” I was a poor Puerto Rican kid from Harlem. I didn’t speak like other people in this industry. I didn’t have their upbringings or experiences. All of that put me at a significant disadvantage. To me, it simply meant that I had to work harder than everyone else to make up for it. You can’t feel sorry for yourself. It is what it is—for now. HE: You’re co-chair of RBC’s employee resource group (ERG), the Multicultural Employee Alliance (MEA). Why is this important work to you? MT: I’m proud to cochair RBC’s Multicultural Employee Alliance. It’s a responsibility I take very seriously. I’m fortunate RBC fosters ERGs like MEA, allowing open discussion about diversity in the workplace. One of the things that scares me the most is the idea that Latinos coming up in the industry today—who haven’t had to struggle as much as previous generations—won’t feel the need to give back to their communities. So, MEA is a way to directly address that by offering younger professionals of diverse backgrounds mentoring and volunteering opportunities, among other things. It also provides an opportunity to discuss the business case for diversity more broadly. In the end, business people need to see the data, and that’s understandable—and the data related to the business impact of diversity is compelling. However, Latinos continue to be underrepresented in the financial services industry. The question is, are folks with diverse backgrounds, with the experience and education required, really not out there? Or, are we not looking hard enough? Sometimes, I wonder if the outcome would be different if compensation was based on our ability to find highly talented minorities to fill senior roles in financial services. HE: Do you think your industry is doing a good job of attracting, retaining, and promoting qualified Latinos? MT: The short answer is no. Compared to when I started in the industry, we’ve made progress, but there is still a lot of wood to chop. There are a lot of groups under the broad “Latino” umbrella, and whether you’re Cuban or Dominican or Puerto Rican or Mexican, you care about the same things, namely the well being of your family, your children’s education, and the ability to progress based on hard work. So many of us came from families who immigrated to the US without knowing anyone here, without knowing the language, without having a job or shelter. Our families risked their lives. We carry that in us; we come from hard working people who thrive in difficult circumstances. We’ve proven that we have incredible work ethics. It’s not just the financial industry—all industries need to work harder to make the most of what Latinos have to offer.